Over the past couple of years, the hotel landscape around the world has drastically changed thanks to short term home renting companies such as Airbnb. In my own humble opinion, AirBnb if anything, has made nothing but a great positive impact to the entire hotel industry. It stops hotels from overpricing (because they know customers can always switch to AirBnb), encourages them to upkeep their service standards, allows homeowners to make extra income, allows visitors to have more options and places to stay that might have previously been inaccessible, allows tourist to have a better grasp of the local culture etc. 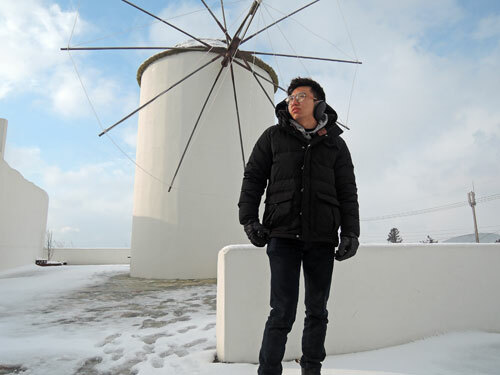 Even our Singapore food blog and travel blog have been increasingly switching to Airbnb homes for some of our trips. While the concept is pretty good in general, every now and then we get one or two rotten apples who would just ruin things for everybody; as this Korean Couple found out during their recent trip to Japan. In their statement that they uploaded to the online community, the couple mentioned that they were prepping for bed when they spotted a green light coming from the fire detector of their room. Upon closer inspection, they realize that the detector seem to have a small lens pointing in their direction of their bed. Alarmed and shocked, the couple decided to dismantle the fire detector after researching about how such cameras are easily sold online. To their horror, they found a mirco SD card hidden inside the detector which has been recording everything that has been going on in the room. Thankfully thou, the couple hadn’t done anything that night but have also mentioned that it was the same home that they rented in one of their previous trip. The couple then contacted the South Korean Embassy which aided to report the case to the Japan police and also brought them to a different accommodation for the rest of their trip. AirBnb has also since re-issued a statement of how they have absolutely no tolerance for such privacy infringement and have also since banned the account of the alleged Japan homeowner. Compared to Hotel chains where they have a brand and some sort of regulations attached to them, the downside of using AirBnb is that such security issues are entirely left to the discretion of the homeowner’s ethics. Learn how you can protect yourself the next time you rent an AirBnb home for your holiday. The very first step is to actually visually scan and check the room. While this may sound like common sense, about 70% of AirBnb users dont do this at all. Perhaps it’s the sense of satisfaction upon reaching your accommodation after a long tedious flight or the false sense of security after reaching a place you would call “home” for the next couple of days, most people instantly feel at home upon checking in. What you should be looking for is things that seem oddly placed, especially around the bed and bathroom area. 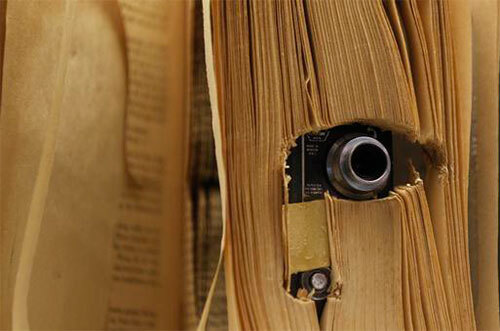 Things such as bookshelves, plant pots, holes in walls, and even under cupboards/drawers/couches/shelves etc, are all good places to hide a small camera. As you have just learnt, also check the smoke detectors and light fixtures for any possible camera placements. 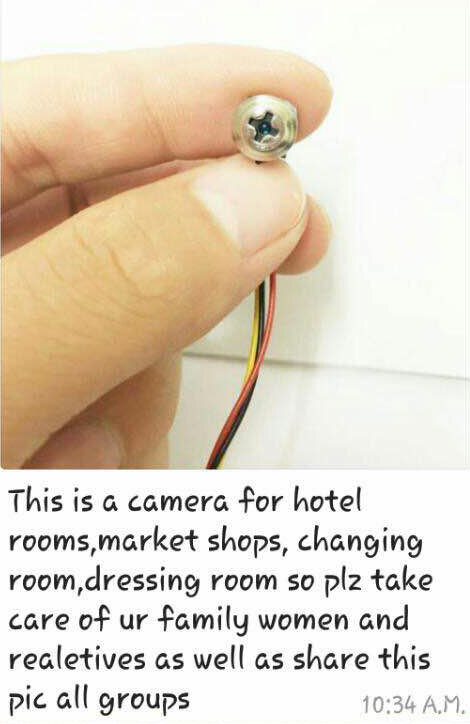 Although not fool proof, most cameras comes with a flashing light to indicate that it is recording. What you should do is to switch off all the lights in the room and check for any suspicious red or green blinking lights. Cameras come with lens, and like a cat’s eyes in the dark, it reflects when you shine light directly on it. Turn off the light and use either a torchlight or the flashlight from your phone to slowly scan possible hidden areas. Shine on those areas from varying angles to ensure that there are no recording devices. While not a sure guarantee, but there are phone apps in the market that help you check for possible cameras. Apps such as Hidden Camera Detector on Android and Glint Finder. Mirrors are often found in the bathroom or changing room. But with modern technology, it is easy to replace a mirror with a 2 way glass without people even noticing. Hidden behind the 2 way glass could very well just be a hidden camera or worst, a perv. Thankfully thou, there are quite a few words to differentiate between a reflective 2 way glass and a mirror. Observe the MountingMirrors are generally bought seperately and should be hung on. If it is mounted directly onto the wall, that could be your first sign of suspicion. Shine Light/Look through itLike the previous light test, dim the lights in the room and try to shine a light source directly onto the mirror. Cup your hands and try to look into the “mirror” to see if theres anything there. The easiest and fastest way to check is to do the finger test. Place your finger onto the “mirror”. 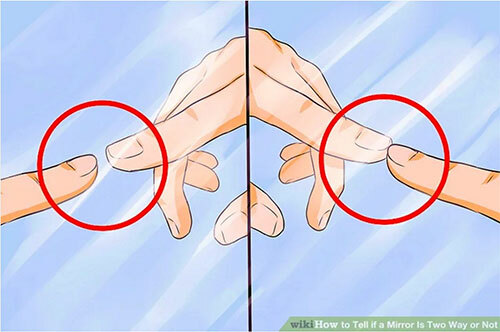 When using a real mirror, your fingers would not be able to touch each other because mirrors generally have a second layer of glass over the mirror itself. Generally speaking, most 2 way glasses wouldnt have a second layer of glass and hence your fingers would touch each other. But this may not be 100% accurate as some 2 way glass do also have an additional glass layer. When in doubt, just place a shirt or a newspaper over the said “mirror” to put your mind at ease. 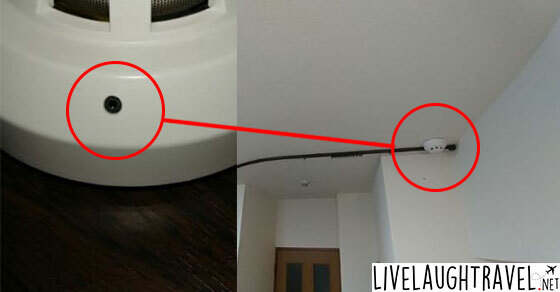 If you take your privacy very seriously, or if you are a celebrity reading this (in which case, hello from Livelaughtravel :)), you can always purchase professional camera detectors that start from around $200+. Remember, AirBnb is not your home and you should never feel 100% safe in someone else’s home even when they are not around. Follow these steps and always be on the lookout cause one can’t be too safe. Share this article with your friends and family and remind them about the dangers of using AirBnb.